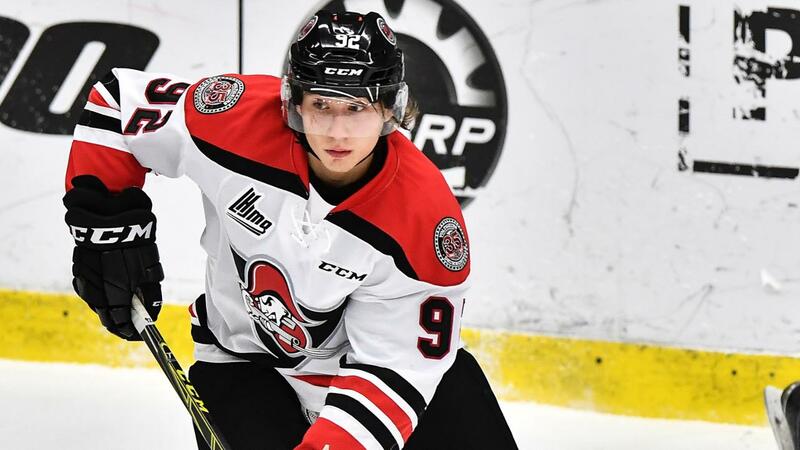 With the 27th overall selection in the 2018 NHL Draft, the Chicago Blackhawks select defenseman Nicolas Beaudin. He got drafted by a smart GM. I was surprised they doubled down on another Jokiharju like d-man with Bouchard and Dobson available but then tripled down with Beaudin (who has upside) is very curious??? Velano was a no-brainer. Wow. Jordyhawk you are right, I like Detroit’s picks. Just like when debrincat dropped and bowman pounced on him, it was a miracle that Joe veleno was available at 27; bowman, however, had a brain cramp this time. Its one thing to miss out on someone like veleno in b w picks 8 & 27; it’s completely another to not select him when he is there for the taking by pure luck and stupidity of other GMs. Are the hawks going to start dressing 8 D-men every game? Is that why they drafted 2 more D-men in the first round? Last I checked –and we all saw since we all watch the same games — the hawks have a great need at center. Their Stanley cup and contending teams over the last decade were built on strength down the middle. Bolland was significant part of these teams. Veleno is going to a be a steady 2-3 line center for at least a decade in the NHL. At least he was drafted into the eastern conference. This was an extra pick, found $ in the closet. Select at a position of need instead of one where the hawks accumulate D-men like hoarders. Bowman dropped the ball big time on this one. We ll give him an F+. Well i hope they’re right. The future looks to be Boqvist, Mitchell, Jokiharju and Beaudin as the top 4d with a long list of young guys uner contract to round it out. With the forwards being Schmaltz, DeBrincat, Saad , Sikura, Kahun, Hino, Ejdsell, Hayden, Kampf and Soderlund and maybe throw in Kayumov and Altibarmakyan from KHL. Goaltender must be up next. If Bowman is on track with the way the league is going and the picks tonight make you think he could be, the future could be very rosy. If he’s wrong it may not. Here’s hoping he is nailing it. This is inexcusable. Tunnel vision. You adjust as circumstances dictate. Veleno dropped to double past the range he should have been selected. Its not like the hawks centers the last couple of seasons are killing it. Name the aspects of centers’ play the last couple of seasons, and the hawks centers are close to a failing grade as a group. Kampf, johnson, wingels (God forbid he is re signed) etc… are (on their very very best days) 4th line centers. Is there an army of 2-3 line centers in the minors waiting to join the hawks? Give me a break. Tiny works for microchips, not hockey teams. The miniaturization of the Blackhawks continues. @Iceman: I meant on the F+. I’d have gone with straight F.
P.S. Disgraceful. Professional malpractice by the GM. Close race bw Q’s grudge/blinders as to Kempny for year and a half v. tonight’s malfeasance by Bowman. Time will tell. It may end up being a tie. Ok jordy, we ‘ll make it a straight F.
It veleno isn’t available, we re not wasting time posting about this. Amazing. And Im the ringleader. I’m not sure about the pick in general considering velano and McCleod were still there to take as centers. That being said dmen havent been drafted this high by the hawks in a long time. Not even mentioning back to back years. So doubling down I’m not a huge fan of. But we will see how it turns out in 2 to 3 years. Who makes the hawks first? Wraparound, we all know that it is a guessing game but you do want to try and increase your odds of success. Let’s see….Wahlstrom or Dobson & Valeno in the line up in a projected year or two or Boqvist & Beaudin in two or three years. I would have to think that most fans and 30 out of 31 teams would take the former. Unfortunately we really won’t know who is right for several years. This is basic hockey sense 101. There are a some poor GMs in the league; it’s like that in every profession, Some people have good jobs and good positions and make good money and you wonder, how does a goof like that have a good job like that?? It happens. If the Hawks crash and burn again like last season, we won’t be critizing Bowman during next year’s draft. When Stan said “from Drummondville” I circled Veleno. Wow. Boqvist and Veleno would have been an incredible first round. Word is Marc Bergevin and company love Beaudin. Hmmm I guess Stan and company figured grab the guy they want instead of watching him go in round two when that is guy they really wanted it. I just figured out why bowman passed on veleno — he is bringing back Pirri to anchor the second line. Further, Bolland has one more season left on Dale Tallon’s third (and largest) contribution (monies paid by others of course) to Bolland Family Trust. He will be returning to anchor the third line in two years, with crutches, a walker and suit of armour. The “you guys think you are smarter than the GM” line is old and listless. The issue is the direction the team has taken the last few years. We have all but abandoned size, strength, and compete level. We are a soft team to play against, and the cupboard is mostly bare. The game has undoubtedly moved towards speed and skill, but the best teams now have that along with size, strength, and compete. They are not mutually exclusive. If you follow the analysts, many of them find what Stan is doing perplexing. They comment on how our prospects are undersized ,and seem caught off guard by his preoccupation with smaller players particularly defenseman. It’s not a secret and it’s not confined to the guys on this board. I checked a couple of other boards tonight and there weren’t a lot of happy campers. Don’t know much about Veleno but a lot of teams passed on him. Drafting 18 year olds is a crap-shoot that can’t be evaluated for 3-4 years so I don’t know how anyone can be certain of anything right now. We really need at least 2 of Krys, Mitchell, Jokiharju, Boqvist or Beaudin to become top pair guys down the road. Jordyhawk – very fair point about number of undersized prospects. As I posted earlier it feels like we are trying to corner the market on undersized d-men. I don’t like the trend of the Hawks always drafting the smallest players year after year. Honestly, I don’t know anything about this guy. How many small puck-moving defenseman does the org need? Hopefully, he turns into something at the pro level. They passed on Wahlstrom. WHY did they pass on Veleno? Will withhold judgement for 2-4 years. Then we can compare Beaudin with others in the late round who were picked (several others went way off the board). But am in complete agreement with Jordyhawk, MS and Southside about the Hawks being very undersized. Yes, the game has gotten faster and more skilled, but a team needs a balance of speed, strength, and toughness. Is it too much to ask to take someone even 6′ 0″, weighing at least 175? It’s as if the Hawks are trying to corner the market on undersized softies. I went and watched highlights of Beaudin and re-watched highlights of Boqvist and I have to disagree with most of the comments in this thread and the Boqvist thread – I like these two picks. The only negative I have is they are probably not going to be ready to play in the NHL next season – probably not for a couple years. But, in terms of replacing Keith, Seabrook and Hjalmarsson from the Cup winning teams – the top 2 draft picks in the last 2 years – Jokiharju and Mitchell last year and Boqvist and Beaudin this year – have a very good chance of being the new defensive core. All of them can skate very well and all of them good offensive games. Add Forsling and maybe Krys into that list and they might end up being the best skating d-corps in the league. The point is the best way to get a #1 and #2 d-man is through the draft and that’s what the Hawks have done the last 2 years. We’ll see – who knows how all the players drafted today will turn out, but if Boqvist, Beaudin, Jokiharju and Mitchell are the Hawks top-4 in 2 or 3 years – we will all be very happy with these picks. Alot of posts about needing high defensive prospects in the system last couple of years. Well he got them, we have them now, right shot defense at a premium so if too many they bring a high return. Get a top goalie prospect or 2 today might be on the agenda. Bowman has definitely gone all in for finesse and skill. Next week work on the current roster and the draft takes care of the future. Winning can cause short memories. ER you are right about Boqvist-he may end up as an electric player–but you also need a center(s) of the future and getting the Swed and Velano would have been a steal in the draft. Beaudin was the gravy when we had a chance at the meat and potatoes. Noonan96, I hear ya … but, the scouting reports on Veleno was that he is a terrific 2-way center but not skilled enough offensively to be a #1 center. He is a middle-6 center/winger who will be solid but not a star. Course, these are only projections, albeit professional, but that and youtube highlights are all we have until we see him in NHL games. And speaking of youtube highlights – I saw Veleno score a log of goals when I watched Beaudin highlights because it was Beaudin setting up Veleno for a lot of his goals. I would have preferred the Hawks take guys who were more NHL ready to maximize the time we have left with our aging Cup-winning core – sacrifice the future for another shot at a Cup with Keith/Seabrook – but rightly or wrongly the Hawks drafted with a more long-range plan in mind. So be it. Well let’s see how smart are GM is. Panarin won’t sign extension with jackets. Kaners needs to rally for his return. And GM has entire year to clear cap for 6 to 8 mil. To bring him back. Amisimov seabs. And we will have best of both worlds. Saad. Bread man. Hey … a boy can dream, can’t I? 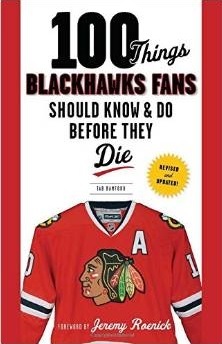 @Ebonyraptor That’s should be hawks fans push. He already told jackets no. And that would immediately give us 2 lines and one hell of a pwr play or OT line. Let alone shootout chances. ! Clear space anyway possible with the 3 mentioned and we are the premier team again ! The bloggers are awfully negative for a couple of guys who are being touted pretty well by hockey journalists. As said by everyone the draft is a crapshoot so let’s sit back and watch the development of these two kids. I watched highlights of Beaudin again this morning and have warmed to the pick even more than last night. An interesting comparison is Beaudin and Jokiharju – there are some differences but some similarities too – and more than just one is LD and the other RD and they were picked at almost the same spot in their drafts – #27 and #29. They are pretty close in age and size. Joki was a younger 2017 pick (6/17/99) and Beaudin an older 2018 pick (10/9/99). Beaudin is 5’11″/175 and Joki is 6’0″/180. Comparing the highlights from both show they both skate very well and while neither are elite level like Boqvist, both are +skaters in both lateral quickness and straight ahead speed. Both are quick decision makers and good first pass vision. Both join the rush and have good quick shots. Joki probably has the better point shot and Beaudin probably has the better wrist shot. For all of you who thought Jokiharju was a good pick – Beaudin is right there with him. I made the same comments and analysis as the sporting news re: veleno for the last 2 months prior to the drafts. Joe Veleno, fantastico — for Detroit. Thanks Stan. I’m with ER, after further review, Beaudin looks like he has a great future. Craig Button had him higher than Veleno and Button only ranks players he sees at least 4 times. Button also said Veleno slipped because his “ceiling” is a 3rd or 4th line center. Krys, Joki, Mitchell, Boqvist, Beaudin = high end prospects on the back end. The Hawks future is much brighter today than just 24 hours ago! Maybe Bowman and crew just wanted to piss off the people he knew wouldn’t like it. We’re adapting to new league style. NAS became a top 5/3 team when their stack of D started their prime yrs etc, this is similar and when we have too many good Dman we can trade for a top FW like that did. Load up. I have no problem with the 1st round picks. Load up for future and add ufa/trade as needed and when we have extra cap space, like this summer 16.5m and more next summer.